Smart factories are here to transform the traditional manufacturing arena as we know it. Technological advancements such as sensor intelligence, IoT-enabled smart machines, robotics and additive manufacturing are converging to spawn the Industrial Revolution 4.0. Driven by digitization, automation, industrial internet of things (IIoT) and smart factories can help the Automotive and Aerospace industries significantly enhance their operating efficiency, and undertake mass customizations. Going forward, innovative smart manufacturing solutions will become the norm, empowering industrial companies to manage operations in a cost-effective manner, without compromising on quality. 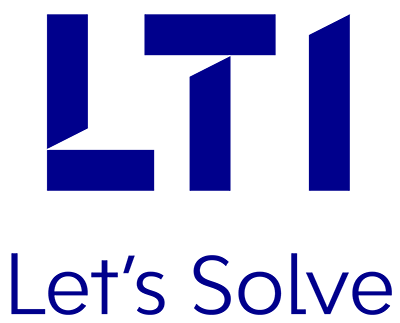 LTI’s Smart Manufacturing Service Line offers cutting-edge manufacturing IT solutions and services. Our end-to-end manufacturing IT automation services, covering shop floor to the top floor, enable you to concentrate on other critical aspects of your business. Our in-depth domain expertise spans across a multitude of third-party products, including OSI-PI, AspenTech MES suite, Schneider Electric (Invensys Wonderware), Rockwell Factory Talk, GE proficy, Siemens (Camstar Manufacturing, Preactor, Simatic IT), PROMIS, Apriso FlexNet, Solumina and Honeywell MES. End-to-end manufacturing IT services for automating operations. Solutions for smart manufacturing, smart supply chain and smart facilities. Deep pool of consultants and digital experts, with 10+ years of experience serving the manufacturing industry. Dedicated Smart Manufacturing Innovation Center, set up in partnership with academia and industry bodies. Enhance quality and reliability of end products, as well as reduce rework and waste, with complete automation of operations. Reduce operating costs with higher asset efficiency, connected machines and streamlined processes, by gaining higher visibility into shop floor data. Harness robotics and automation to lower dependence on manual labor, and ensure consistent production and optimized plant performance; better utilize human talent for high-value tasks. Improve the quality and pace of decision-making, with access to real-time, accurate data on manufacturing processes. Solution for Smart Factory Applications, providing real-time facility models, enabling location-based intelligence and automated real-time tool control. Our MES & Automation Capabilities Help Customer To Transform Manufacturing Process Towards Operational Performance Optimization.